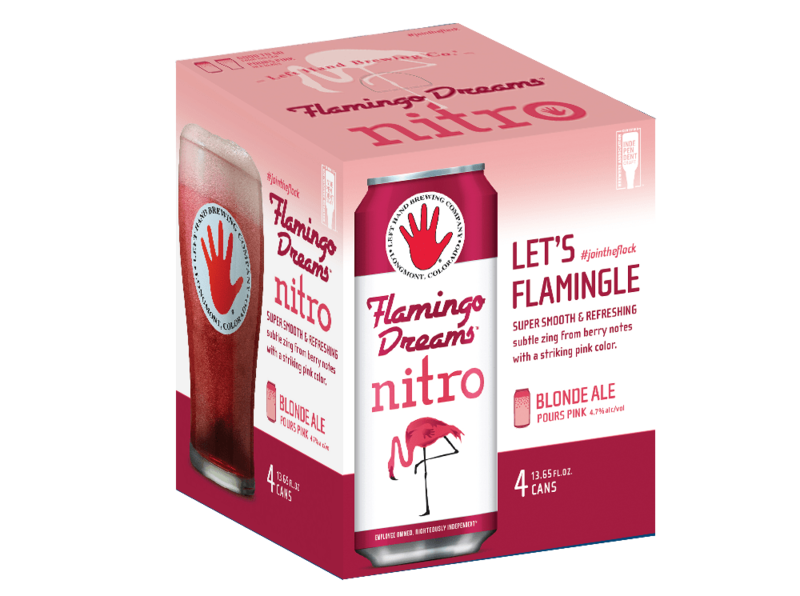 Left Hand Brewing Company's Flamingo Dreams in 13.65 ounce 4 pack. Photo courtesy of Left Hand Brewing Company. 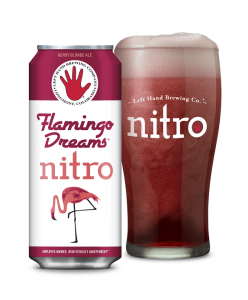 Left Hand Brewing Company launches Flamingo Dreams, a berry blonde ale at 4.7-percent ABV. Photo courtesy of Left Hand Brewing Company. The company also has a convenient website that the curious can use to locate Flaming Dreams in their areas. Spec’s and H-E-B are listed among retailers while bars listed include Axelrad and the Flying Saucer Draught Emporium. The new brew comes in 13.65-ounce cans in either four or six-packs and the label features dark pink lettering and, of course, a flamingo. Left Hand Brewing has used nitro technology for some of its beers for almost a decade. In 2011, it released its flagship Milk Stout beer in nitro bottles, then, in 2017, was the first to produce a U.S.-made nitro widget in a can from Ball Corporation. This new widget allowed nitro fans to enjoy a smooth, creamy Milk Stout from a can. Much like the Milk Stout Nitro, Flamingo Dreams pours with a rich head of foam and grows as the carbonation rushes to the top, providing a draft beer experience at home. The brew’s striking pink color might detract drinkers who run from anything pink, but the low 4.7-percent ABV and refreshing berry flavors are fun and vibrant. The fruit-forward and lighter style is refreshing and “crushable” — which sounds ideal for Houston’s 10-month-long summer and pool parties everywhere. In fact, the promotional video below seems to indicate that’s exactly what the company is hoping for. Wow, that’s a great idea! The other two flavors sound good,too!